The main target market for Apple's iPhone sales remains in the USA. Today it is the only country where you can buy a smartphone at a low price with the condition of signing a contract with a certain operator for 2 years. It should be noted that the cost of the unit without reference to the SIM card is much higher and can be compared to the world prices for the device. Low cost in the USA, acquired along with a contract to connect to a particular operator, due to the fact that Apple has an agreement with the operators, under which the cost of the phone is reduced. Part of the money that you spend monthly subscribers to the communications services, are transferred to the Apple. The cost of the phone ranges up to $ 400 for the new model. The price of the machine depends on how much memory is supplied with the device. For example, today's iPhone 5s costs $199 with a memory capacity of 16 GB. For a 32-Gigabyte version, the buyer will have to pay $299 and for 64 GB - $399, respectively. However, operators such as AT&T, Sprint and Verizon contracts, under which each user pays a fixed monthly fee and enjoy all the services offered by the operator. The differences in the services provided is that AT&T works in networks GSM, while Sprint and Verizon use CDMA. The prices of the models that are implemented without reference to a particular operator, starting with $649, and grow depending on the amount of memory for $100. So, for 32 GB you will have to pay $749, and 64GB is $849. Unlocked iPhone works only on GSM networks. Models related to the previous generation of machines, in the United States are sold at a cost significantly lower. For example, the iPhone 5c in USA you can buy for $99 dollars with 16 GB of available data storage. While the 32-Gigabyte version will cost $200. Unlocked the device will cost $549 and $649 respectively. 64 GB version of iPhone 5c does not exist. The IPhone 5 was discontinued after the release of the 5c and 5s versions. 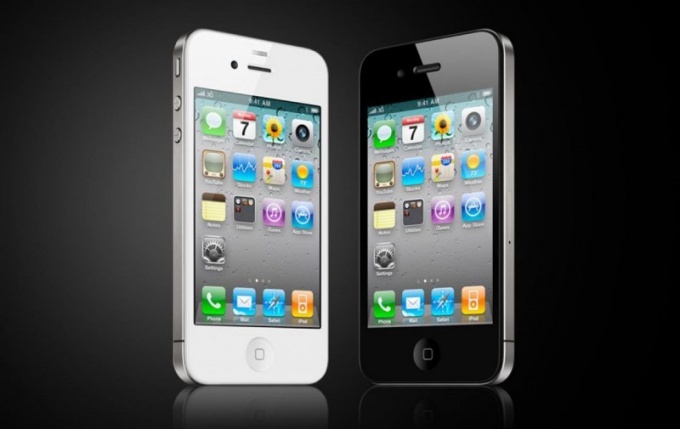 Version of the iPhone 4s today in America available totally free when you connect to the service provider. Phone memory is 8 GB. The unlocked version of the iPhone will cost $450. When buying, consumers are invited to choose multiple options. AT&T offers $60 per month unlimited calls and SMS, and provides the packet data transmission 300 MB free. Every subsequent 300 MB will be charged at $20. For $85 a month, you can take the tariff with unlimited calls, SMS and data bundle of 1 GB; each additional packet of data will cost $15. For 4 GB of data per month the user will pay $110. Sprint offers a tariff with 1GB of data and unlimited SMS and calls for $70 a month. Full unlimited will cost $80 with unlimited traffic. For Verizon the cost of tariffs is determined by how many gigabytes of information the user will be able to download at no additional cost.